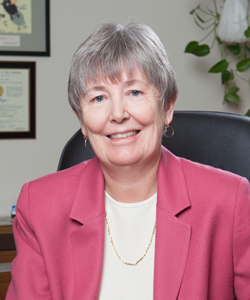 Pam Hall, president and CEO of Bedford-based Normandeau Associates, began her career there in 1971 as a marine scientist at the natural resources management firm. She became its president in 1987 when it was a division of a large publicly held company. And when that company decided to divest Normandeau – one of the largest science-based environmental consulting firms in the U.S. – Hall led the charge to buy it and turn it into an employee-owned company in 2000. It’s a move she cites as one of the reasons the company thrived during a period of economic instability. Since becoming an employee-owned firm, annual sales have nearly tripled, it established a dozen and a half offices nationwide and has grown to employ about 250 people. Hall was one of the few women at the firm when she started in the ‘70s, and the only woman in senior management in the ‘80s. Today, women make up half of Normandeau’s management team and 45 percent of its professional staff. Access the complete magazine here. Q. What led to the decision to buy out the company in 2000? In professional service companies, employees are the assets. We were founded in 1970 and had been bought and sold a couple of times by 2000. The company employed many talented and dedicated employees who had “weathered the storms” so to speak and had worked very hard to make and keep this company successful. I felt strongly that we should own the company ourselves; have a broad ownership structure open to all regular employees as every employee contributes to the success of the company; and have control over our future. I met with the senior management team several times, consulted with outside advisors, and we decided to “go for it”. Q. In what ways has an employee-owned structure benefitted Normandeau Associates? We are a private, 100 percent employee-owned company and we accomplished this through an ESOP (Employee Stock Ownership Plan) Trust. ESOP’s distribute company shares to employee accounts in the trust; employees do not have to buy shares so shares are available to all who qualify under the plan. Our shares are distributed based on compensation level and years of service, thus they are widely distributed with approximately 200 employees having shares in the trust at this time. Because of this, employees consider Normandeau Associates “their company”, and this certainly helps to create a culture of excellence in our work and with client service. Also, it is the hard work of these employees that makes the company successful and the continued success of the company creates long term shared value for all of these employees, so it’s a win/win for all. There is evidence in the ESOP literature that ESOP companies perform somewhat better than other companies and I think that is the case. Over the 15-plus years in which we have been employee-owned, we have weathered the economic and business downturns well in comparison to many firms. Q. What advice would you give to women pursuing leadership positions in New Hampshire? I would advise women to 1) set reasonable but aggressive goals and remember that one is usually more successful if there is a good match between professional interests and personal interests; 2) have the confidence that such goals can be achieved and that one learns from one’s mistakes – fear of failure can prevent one from growing and achieving one’s potential; 3) acquire basic management and leadership training early in your career so that as opportunities arise you already have many of the skills needed and have also demonstrated considerable interest and initiative; 4) recognize that management skills and leadership skills are not necessarily the same (there are some very good managers who are not good leaders); 5) be somewhat patient with yourself and others and promote yourself and your accomplishments and aspirations, when appropriate; 6) recognize that it still can be frustrating at times for women as it’s not an equal playing field. Q. What resources in New Hampshire would you recommend women take advantage of as they progress through their career? There are numerous resources available to women. Several universities and colleges offer degrees in business on a full time or part time basis. I highly recommend some basic business courses. Many have 1-2 day management, leadership and financial seminars. There are also many online courses. UNH, the Community College System and Granite State College offer such programs. This is very relevant to the emerging job markets in technology and advanced manufacturing. Southern New Hampshire University has a Center for Women’s Business Advancement. There are several CEO Forums including one at UNH run by Barbara Draper, and also many networking groups for women in business. It’s important for women to take advantage of these learning and training opportunities and not wait – get the training early before you need it, so that when the opportunities occur, you already have many of the credentials and have demonstrated your interest, drive and commitment. Q. In what way can companies recruit and keep talented women in management positions? 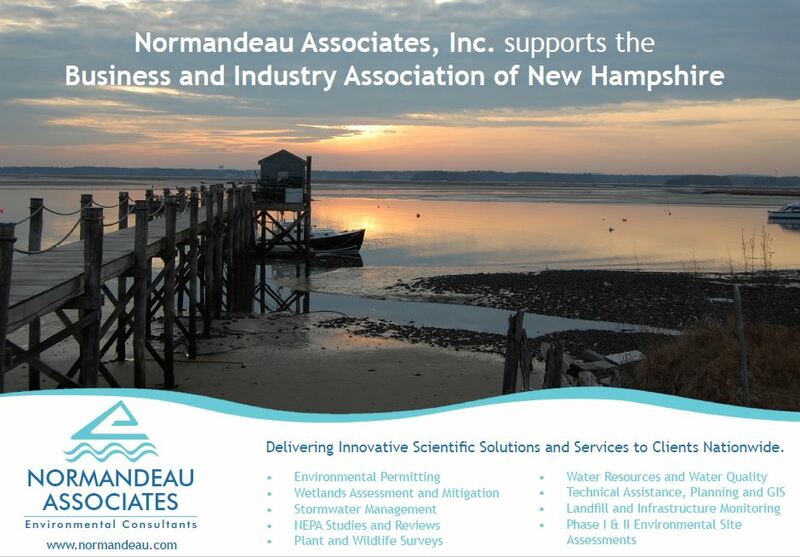 For companies like Normandeau Associates, Inc., where there are several women in management positions, I think it’s easier to recruit very talented and smart women as they see opportunities for involvement and advancement and the company has demonstrated this through its hiring practices and promotions over many years. There are some companies, however, that don’t have women, or many women, in management and leadership roles, particularly in top corporate roles. Such companies need to demonstrate that they will give women equal pay, equal voice, equal responsibilities and authority, equal respect and equal chances for advancement. Q. What role does community involvement play in Normandeau Associates? Community involvement/volunteerism is one of our Company Core Values, established by senior management when we bought the company in 2000. As examples, the company engages in fund raisers, food drives, and the United Way Day of Caring in addition to its numerous donations. In many cases, our ESOP Advisory Committee organizes these company initiatives. As federal and state funding for many, much needed programs drastically decrease, businesses need to step in and take a lead role, and more and more are doing just that. Employees just entering the workforce also have expectations of their employers as far as community service. Our senior corporate officers volunteer for non-profit boards and committees, as do many of our employees. I have volunteered my time on many nonprofit charitable organization boards over the past 30-plus years. For the past several years I have been Chair of Volunteer NH, a 501(c)3 established by the State of New Hampshire to promote volunteerism and community service in the state. This nonprofit administers the State AmeriCorps Programs such as City Year and AmeriCorps Victims Assistance Program (AVAP), hosts both the Governor’s Conference on Volunteerism and the Spirit of New Hampshire Awards Celebration, helps to organize volunteer efforts during disasters, and assists with matching volunteer interests with volunteer needs. Volunteer NH and another very key nonprofit, New Hampshire Businesses for Social Responsibility (NHBSR), are working together to help businesses with their volunteer and community service programs in an effort to more effectively engage more businesses in community service. Q. Given the recent company expansion to California and Florida, what are the benefits to keeping the headquarters in New Hampshire?